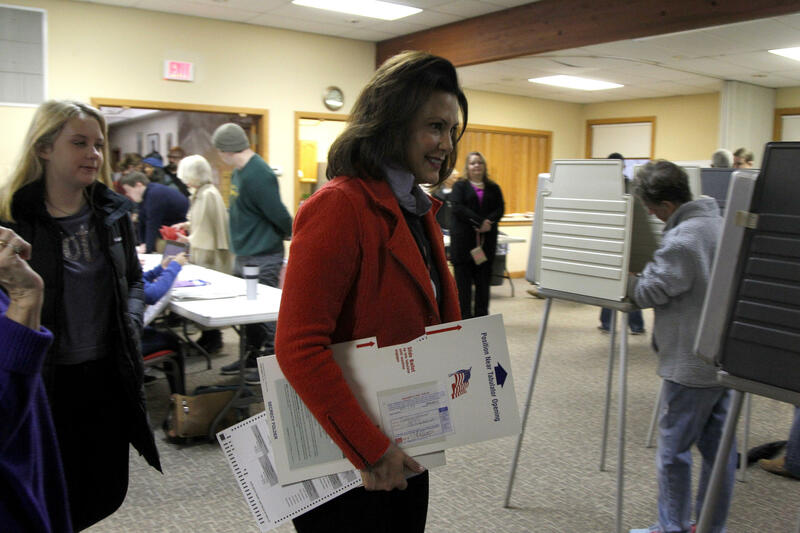 Michigan Democratic gubernatorial candidate Gretchen Whitmer, with ballot in hand, prepares to cast her ballot, Tuesday, Nov. 6, 2018, at St. Paul Lutheran Church in East Lansing, Mich.
Schuette and Whitmer had waged a contentious battle. Taking shots at each other in political ads and during debates. 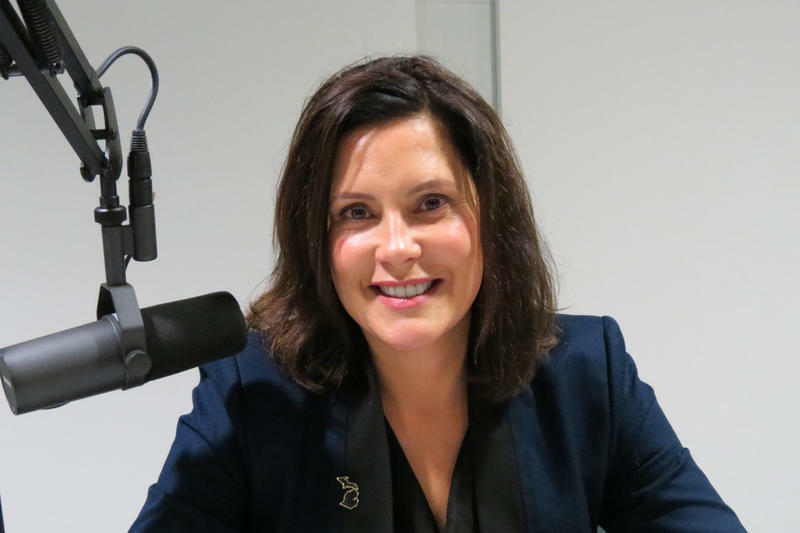 But in the end, Whitmer’s focus on fixing the state’s roads and infrastructure beat out Schuette’s so-called “Paycheck Agenda” that was focused on lowering taxes and smaller government. Democrats haven’t held the governor’s office for eight years. And they still have a ways to go to get control over the other branches of state government – although gains were made on Election Night. Republicans had multiple losses during the midterm election – for state and federal seats. They lost the U.S. House and Michigan contributed to that loss. In particular, longtime Republican Congressman Mike Bishop conceded to newcomer Democrat Elissa Slotkin in what remains a tight race for the 8th District. While Republicans didn’t fare well at the top of the ticket, they were able maintain control of the state House and Senate. Whitmer’s inauguration is scheduled for New Year’s Day. Democratic women also won the statewide races at the top of Michigan’s ticket. U.S. Senator Debbie Stabenow was re-elected to a fourth term. Jocelyn Benson will be Michigan’s next Secretary of State, and Dana Nessel appears to have won a close race for Attorney General. Michigan voters also approved three ballot issues, one to make marijuana legal for recreational purposes, another to create an independent commission to draw the boundaries for Congressional and state legislative districts and a third that is designed to make it easier to register to vote and cast a ballot.